The employee directory is one of the most important and frequently used tools of the corporate intranet. It allows employees to connect with colleagues quickly and easily, regardless if they are in same location and allows teams to be more effective in daily tasks as well as longer term projects. People truly are the most important asset in any organization, but its only through looking after them and giving them the tools to do a good job; that the flow on effects to employee morale, customer satisfaction, and the bottom line can be realized. As teams grow and evolve there are many times are you in meetings, conference calls or other office situations were you not familiar with all participants. 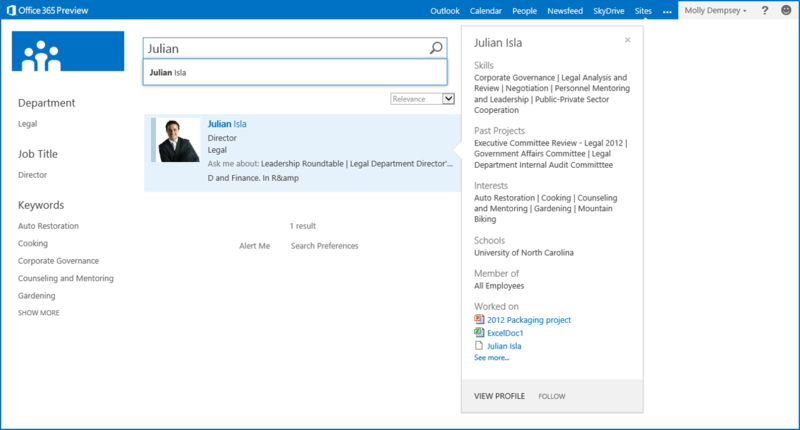 The employee directory makes it easy to look up and learn about your colleagues, things like title, department, team, interests and more. When you know the skills and experience of your team mates you can understand if and how they could help you in your work initiatives and likewise how you can help them. When your directory includes information like "About Me" and "Interests" these allow employees to find others with shared passions. These can even be handy when forming corporate sporting teams or even a hackathon. This can have the added advantage of getting to know your immediate team at deeper level and building a greater sense of community and comradery. 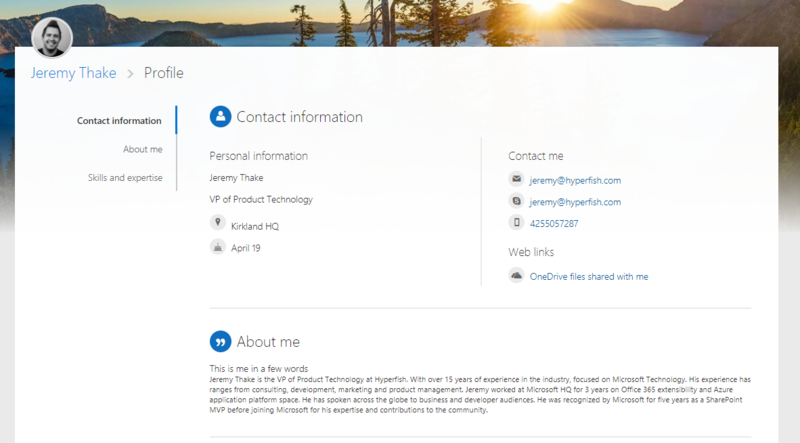 When your employee directory includes up to date profile photos, its useful tool to put a face to a name. For example, you may have a few "Sarahs" across the organization but not sure which one runs the Project Management Office. These attributes may be free text inputs or selected from predefined lists. In either case once they are in the directory they are then searchable and employees can use it to locate others with the skills they are looking for. You might be working on content to promote your product/service in foreign language. You may have even employed a translation service but want to make sure they have understood the messaging correctly. Via a language search you may be able to locate a colleague who could perform an additional review before going live or printing with embarrassing errors. You may be experiencing a technical issue such as your work email not syncing with your new phone. The employee directory could point you to someone who specializes in mail servers and device support. You may be tasked with developing an application on a computer language that you are just starting to learn. A quick employee directory search may point you to someone with experience and even certifications for that language and hence someone to reach out to and help you troubleshoot issues and bugs. Even with best intentions and good communication practices, it's common for email signatures to be outdated, contain errors, or simply not used at all. The email signature is one tool that employees often reference to quickly get in touch with colleagues. 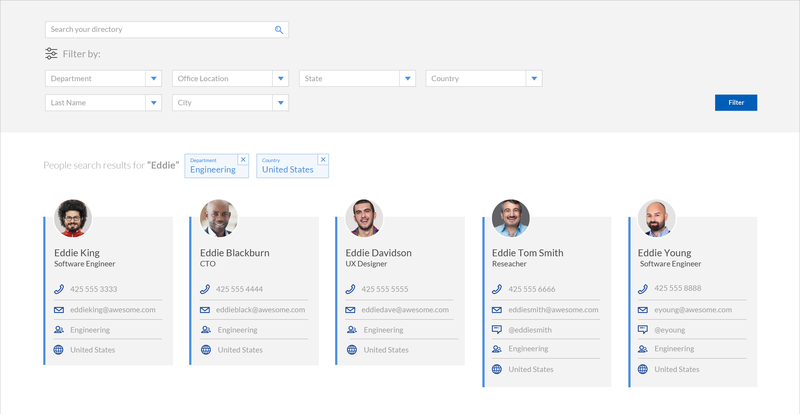 This is one example of where the employee directory steps in and provides a consistent experience for contact information, a one place to find it all. The employee directory can provide a place to quickly contact others through click-to-call functionality, kick off a video chat, or being an IM conversation. In situations when you need to call multiple people in a row, such as everyone in a team or an office - being able to sort the directory and have all numbers ready to call can be a huge time saver and invaluable in an emergency. 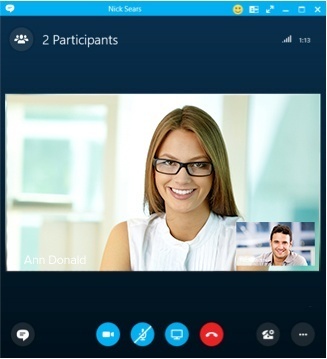 Additional information such as office location can help employees connect via the appropriate communication channel and connect during office hours. Like expertise there are many organization that track employees' past projects. These can be extremely useful in the bidding process for new work but equally relevant when picking the right team to get the work done. Throughout the duration of the project the directory allows team members to easily schedule team meetings/calls, as well as connect with each other via email, phone, IM. Starting a new job is often overwhelming, a time where lots of information and new systems are thrown at you all at the once. For new employees they are keen to get going and prove their value to the company. At the same time the company is looking to get new team member quickly contributing. 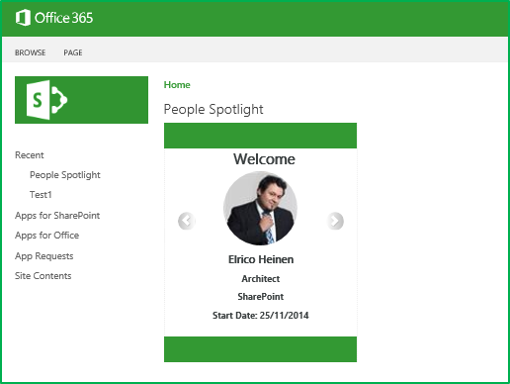 The employee directory is a key resource for new team members to learn about their new colleagues and for others to learn about them. It allows new hires to find help, get up to speed, and establish working relationships to quickly start contributing to the organization's success. For example, the directory can let you find who in HR can talk you through the corporate 401K plan. An easily accessible and accurate employee directory provides gives new hires a good impression of the company - one of an open, collaborative, and supportive work environment. 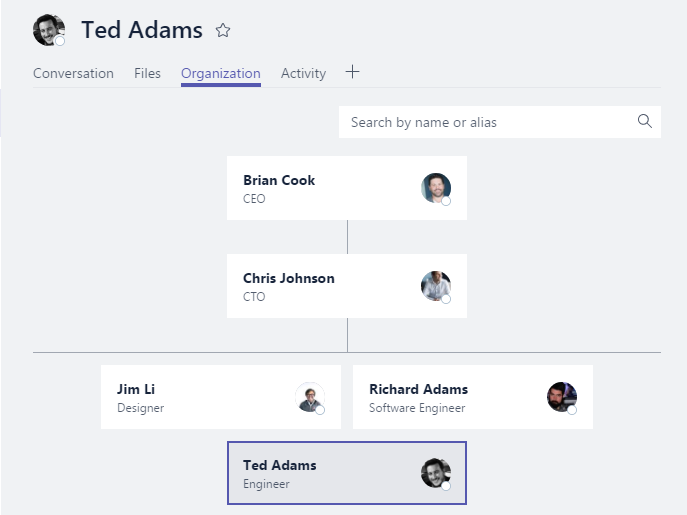 You may want to consider expanding your employee directory with the free People Spotlight available in Microsoft AppSource. There are several situations that can arise at short notice, that mean you main work contact is not reachable. But what happen if you need assistance fast? Navigating the employee directory, you can determine their manager, immediate colleagues, and possibly others with same/similar title and skills. All of these searches can open avenues to find the help you need and answers to your questions to keep on track with the job at hand. At the same time this can expand your corporate network and establish new connections that may have otherwise never developed. 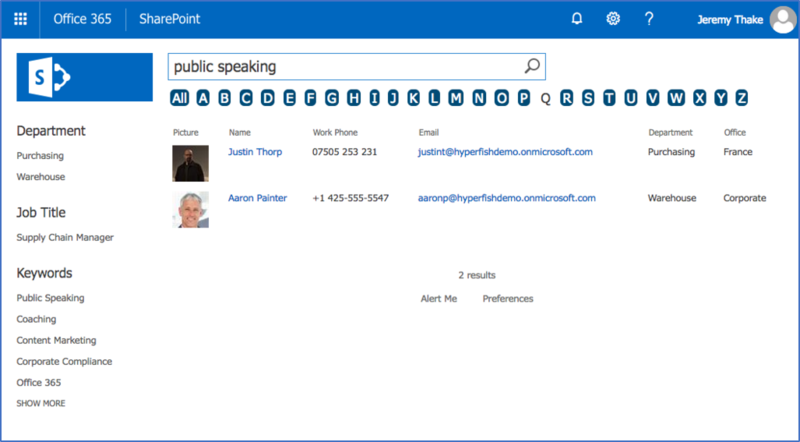 Hyperfish Live Directory provides organizations with a reliable, customizable and easy to use people search experience within your intranet. It works in conjunction with the Hyperfish service and our Hyperbot that proactively engages employees to ensure profile information is always accurate and complete. Get your free demo today!